Water Resistant Plywood offers a high degree of resistance to water, in comparison to solid wood or regular plywood. They are great for furniture that is in constant contact with water. Kitchens in homes by their very nature and use, are the most prone to prolonged water damage. 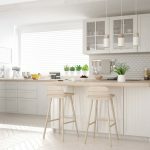 Water dripping from food utensils, seepage from leaking faucets and bad plumbing contributes to weakening cabinets and ruining kitchen decor in the long run. Indian kitchens are particularly prone to this, because of our excessive use of water. Waterproof materials used in kitchen decor not just prevent damage, but also help in extending the life of a modular kitchen. 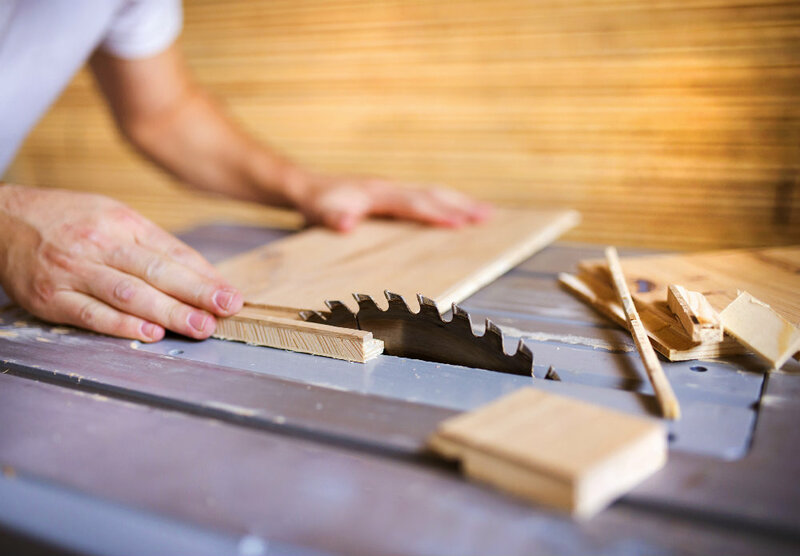 While regular ply is sturdy and used in crafting different furniture, Waterproof Plywood is crafted in such a way so as to offer resistance to water on a regular basis. 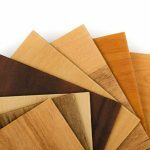 Waterproof laminates comprise of a phenolic resin (moisture repellent resin) that is used instead of the natural variety for gluing individual pieces of ply together. Use of a such a synthetic plastic resin helps in making the plywood waterproof. Waterproof plywoods are water resistant and/or moisture resistant, and are used in the different parts of the home as per their properties and the home’s requirement. Plywood is essentially of two grades; exterior grade is meant for outdoor use and that which can withstand prolonged weather conditions. Interior grade is used indoors. In India, Commercial MR or Moisture resistant plywood and BWR grade plywood can both be used indoors. Waterproof Plywood is different from marine ply. Marine plywood is built to resist prolonged water exposure, is costlier and used for boat construction, making ships and other marine applications. ‘BWR grade’ or ‘Boiling Water Resistant Ply’ is the ply of choice for most modular kitchen furniture. 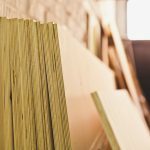 BWR plywood can withstand continuous exposure to moisture and has a longer shelf life when compared to regular ply. 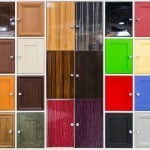 This wood is used in kitchen cabinets, cabinet shelves and backsplashes. 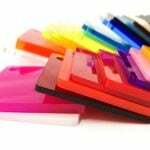 Waterproof ply comes in a variety of sizes and thickness. The plywood used generally, is available in an 18mm thickness.